Jared Unzipped: The Creature From The Black Lagoon Gill-Man Costume. The Creature From The Black Lagoon Gill-Man Costume. 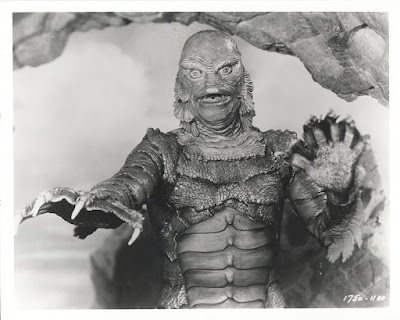 You can't talk about the classic monsters of cinema without mentioning the Gill-Man. The eponymous Creature From The Black Lagoon possesses a devilish alien physique, but somehow still exudes a sympathetic human quality. It's an iconic, unforgettable design that has carried the Creature's legacy far beyond the three films he starred in during the 1950's. Just think -- it's over fifty years later and I'm writing about the Gill-Man, a rubber-suit monster from a black and white movie, on the internet. That's the definition of notoriety and awesomeness. 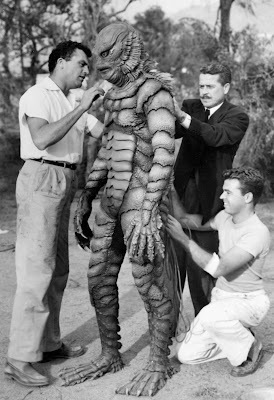 The Gill-Man suit was designed by Millicent Patrick, though for many years she went uncredited for her work. What most may not realize is that Patrick also created the aliens from It Came From Outer Space (1953), the mutants from This Island Earth (1955) and the monstrous villains from The Mole People (1956), among many other film fiends. Her ability to design impressive and catchy monsters for film was second to none. For that, all fans of classic horror should collectively say a big thank you to Patrick. There were multiple Gill-Man suits produced for the three Creature films. All were produced from foam rubber, which made the suits very light and flexible. This was especially necessary for the underwater scenes. For the water sequences, actor, stuntman and champion swimmer Ricou Browning performed without the aid of an air line. He's reported to have been able to hold his breath for up to four minutes, thereby making the Creature's swimming seem more authentic. Had bubbles been leaking out of the suit, I can't imagine how that would have affected the Creature's on-screen presence. 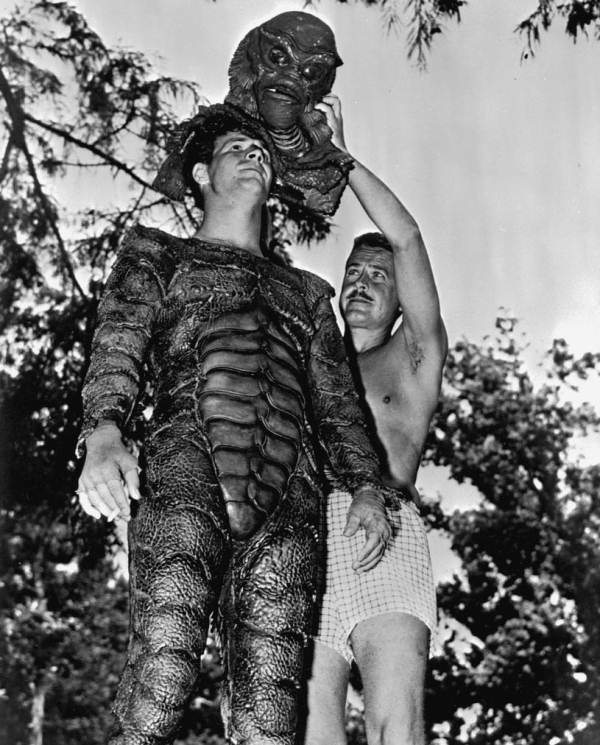 Because the Gill-Man suits were made from foam rubber, they do not still exist. Foam rubber breaks down over time due to exposure to the air. Eventually it falls to dust. If you ever come across a memorabilia retailer claiming to have all or part of an original Gill-Man suit, then it's a fake. 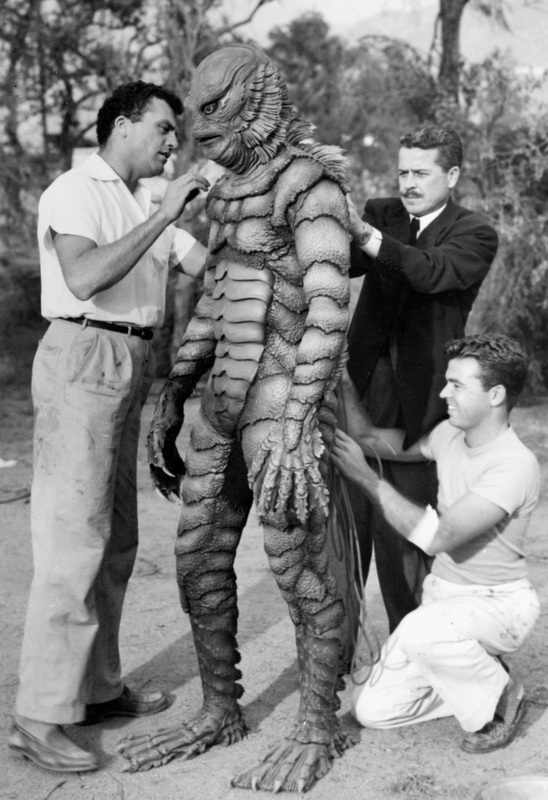 Alas, no original Gill-Man suits still exist, but that's alright. The Creature is forever preserved in all its cinematic glory on the silver screen! For further information, check out the following links! An extensive interview with Ben Chapman, the actor whom played the Gill-Man during the out-of-water scenes in Creature From The Black Lagoon. Thanks for the post. I remember reading somewhere that the suit was made by Goodyear for more than $35K!